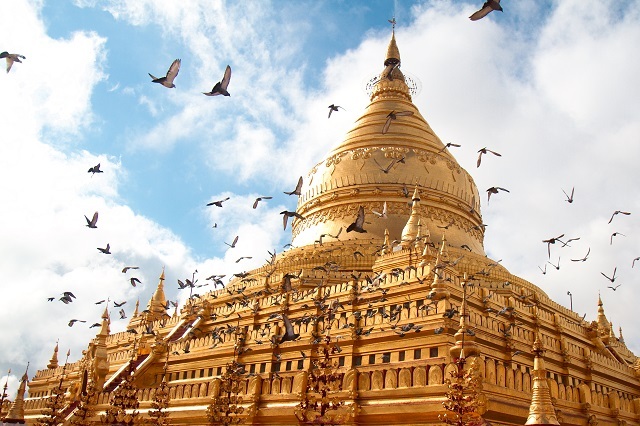 Shwezigon Pagoda is one of the most stunning Buddhist pagodas not just in Myanmar or Southeast Asia but the whole world. This huge pagoda is glistening in gold and diamonds. It is Myanmars holiest shrine and clearly the most magnificent work of Burmese temple architecture.